Maleeha is a reporter for WUFT News and can be contacted by calling 352-392-6397 or emailing news@wuft.org. 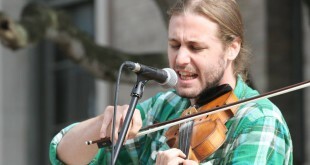 Passionate fiddler, Eli Tragash, who once competed at FiddleFest's annual Longleaf Pine Youth Fiddle contest as a child, is now a judge for a group of contestants 18 years old and under. 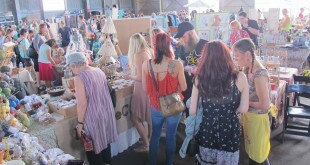 The GLAM Craft Show is returning to downtown Gainesville after four years of being held in a different location. Having the show downtown will make it free to attend. 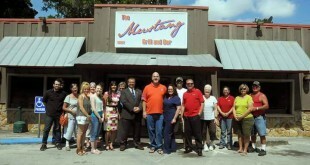 When Shaun Willis opened the Mustang Grill and Bar in June, it became Archer's third restaurant. After October, though, it will also become a place of entertainment. Mustang After Dark will feature musicians from Nashville, trivia and karaoke. Edible Plant Project is a nursery in Gainesville that provides seeds and plants for people to grow. Some of their plants come from foreign countries. EPP most recently decided to provide cooking classes, so that people could learn about these plants and their special uses. EPP sells plants at the Union Street Farmers' Market every second Wednesday of the month. The Gainesville Parks Recreation and Cultural Affairs will work again with the Rotary Clubs of Gainesville Foundation to renovate Smokey Bear Park, which both organizations contributed to creating in 1963.